The one day event, taking place in Zurich, with approx. 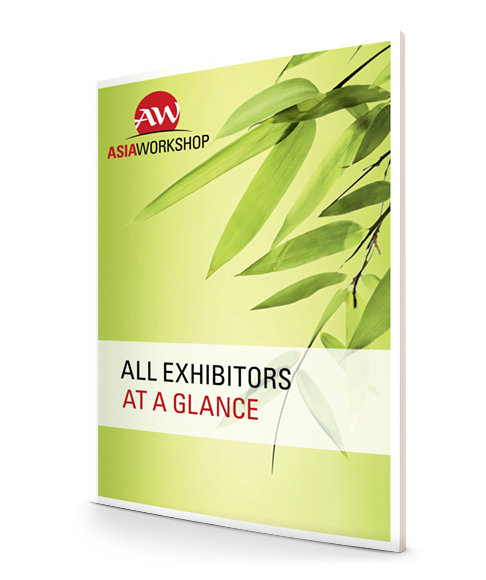 50 exhibitors and some 400 travel agents is the largest and most efficient platform for Asia on the Swiss market! Do not miss this great opportunity to be part of it! By train From Zurich airport towards the railway station Zurich Oerlikon you may take the suburban trains S2, S16, S24 as well as the IR (approximate travel time takes 5 minutes). From Zurich main station torwards the railway station Zurich Oerlikon you may take the suburban trains S2, S5, S6, S8, S14, S15, S16, S19, S24 (approximate travel time takes 7 minutes). Alternatively you can use either Tram 10, 11 or 14 (approximate travel time takes 20 minutes). Please find further information on www.sbb.ch or www.stadt-zuerich.ch/vbz. Timetables are subject to change. By car From Berne – Basel – West Switzerland – Karlsruhe – Strassbourg A1 up to junction A20 Nordring, Exit: Oerlikon – Affoltern – Regensdorf (after Gubriststunnel), then follow the blue Züspa signs (<Z>) towards Oerlikon City and railway station Zurich Oerlikon. From Winterthur – Schaffhausen – St. Gallen – Vorarlberg – Munich – Salzburg – Innsbruck A1 up to exit Oerlikon, then follow the blue Züspa signs (<Z>) towards Oerlikon City and railway station Zurich Oerlikon. From Chur – Ticino – Italy A3 to the end of the highway, then towards Transit/Airport, afterwards follow the blue Züspa signs (<Z>) torwards Oerlikon City and railway station Zurich Oerlikon. From Zug – Lucerne – Central Switzerland A14/A4a to the end of the highway Sihlbrugg, Sihltal towards Zurich, afterwards in direction to Transit/Airport, then follow the blue Züspa signs (<Z>) towards Oerlikon City and railway station Zurich Oerlikon. Underground car park «Swissôtel Neumarkt» with 450 parking spaces, direct entrance via elevator to hotel lobby. Subject to change. Claudia Lässer, known as TV presenter and model will lead you through this year’s program. A big thank you to our sponsoring partners!